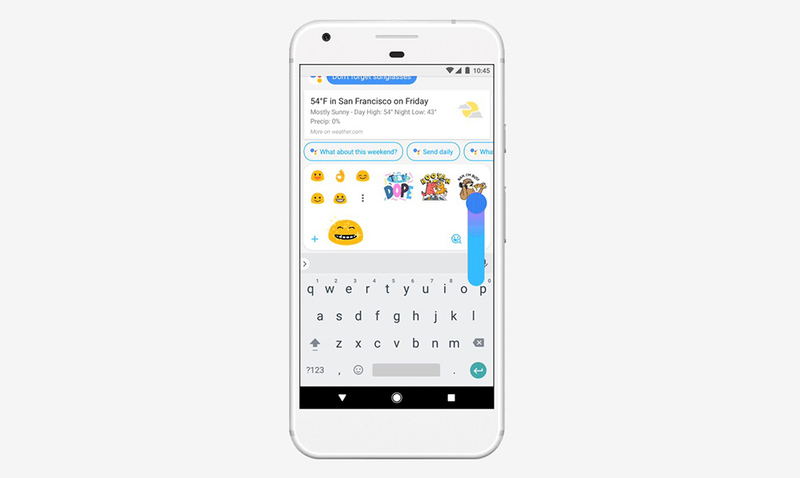 Allo, Google’s messenger application whose target audience is the size of Rhode Island, is receiving an update today that makes it easier to launch Google Assistant. The update will also add animated emoji and make GIF searching more fun. I say “fun” because there are swipes involved. Swipe are fun, right? I could now take some time to talk about how all of that works, but Google created these fancy GIFs that do it better. Ready for hot GIF action on a Thursday morning? Here we go. Cool. The update starts rolling out today.